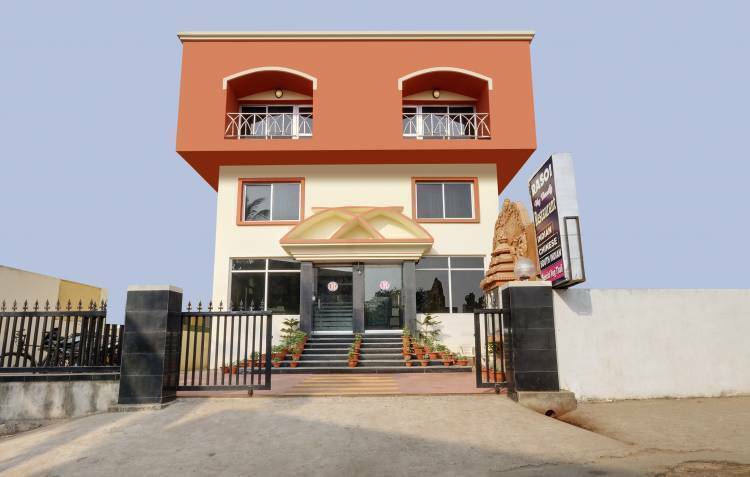 HOTEL PUSHPA is situated on the eastern coast of India on the most beautiful sea beach with a holy place in the county. The location is ideal for tourist, as its located on the sea beach and on the calm and peaceful environment. HOTEL PUSHPA is situated on the eastern coast of India on the most beautiful sea beach with a holy place in the county. The location is ideal for tourist, as its located on the sea beach and on the calm and peaceful environment. This area is absolutely pollution free with strikingly beautiful view of Sea and also the famous Lord Jagannath Temple. Not very far and yet away from the hustle-bustle of city life, Berries offers to you an ideal respite away from home. Being a Premium Budget Leasure Hotel, Berries offers to you the simple gesture of genuine hospitality and high standard of services. 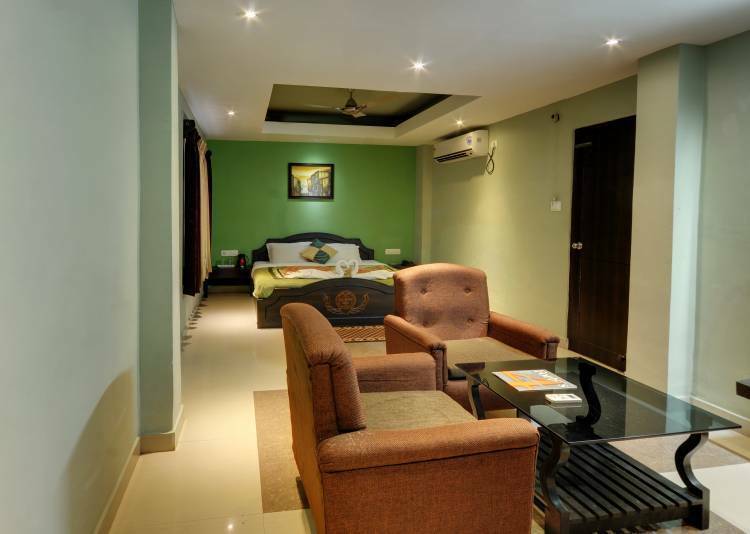 At par with the quality and standard of any Premium Hotels in Puri, Berries has an aura of peace, friendliness and a home-like environment that you can immediately connect to. Berries is a cozy and comfortable shelter. A symbol of warmth, luxury and mountain hospitality. Every room is styled differently and decorated tastefully keeping in mind the different tastes and preferences of our guests. LCD in rooms with Cable TV connection. 45 Tastefully done rooms and family suites with attached bath rooms. 24 hours hot and cold running water. Travel assistance. LCD in rooms with Cable TV connection. Non Ac Standard Our Non AC Standard Rooms are economy rooms to suit medium budget travellers. The rooms have all the amenities to keep the guest comfortable and relaxed. With LCD TV, Gysers, and attached bathrooms, the guest will enjoy their vacation with comfort. 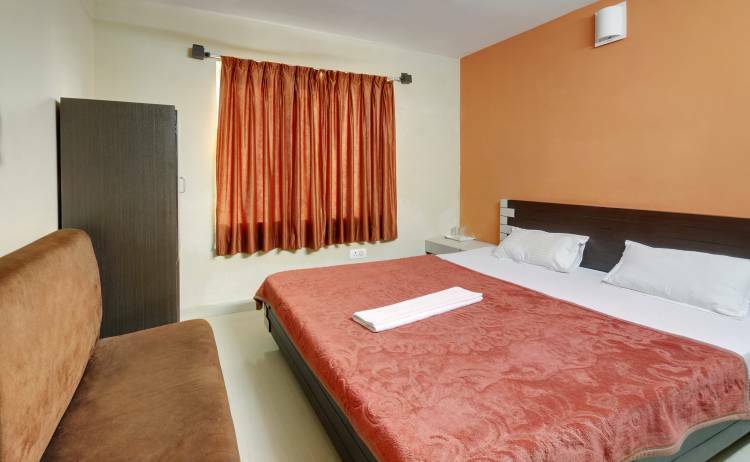 Ac Classic Our Classic Rooms are bright and airy and are well maintained marble flooring and have all the facilities and amenities to provide every kind of comfort to the leisure travelers. Very spacious to relax and streach out. With Balcony to sit and relax and enjoy the breeze. With attached bath, our Classic rooms have stylish and well maintained furniture and other privileges like sofa, wardrobe, LCD TV , Gyser etc. Ac Superior Sea View Our Superior Rooms are bright and airy and are well maintained marble flooring and have all the facilities and amenities to provide every kind of comfort to the leisure travelers. Very spacious to relax and streach out. With Balcony to sit and relax and have a beautiful view of the sea. With attached bath, the Superior room has stylish and well maintained furniture and other privileges like sofa, wardrobe, LCD TV, Gyser etc. The ambiance of the room will definitely make you feel at home. Honeymoon Deluxe Our Deluxe rooms are lavishly designed with all the luxurious comforts, modern facilities and personalized services. The comfort that our Deluxe rooms provide has enabled us to carve a niche for ourselves in the industry. We are widely known for high comfort level and dï¿½cor, which gives our Deluxe rooms impart leisure and the feel at home factor to our guests. 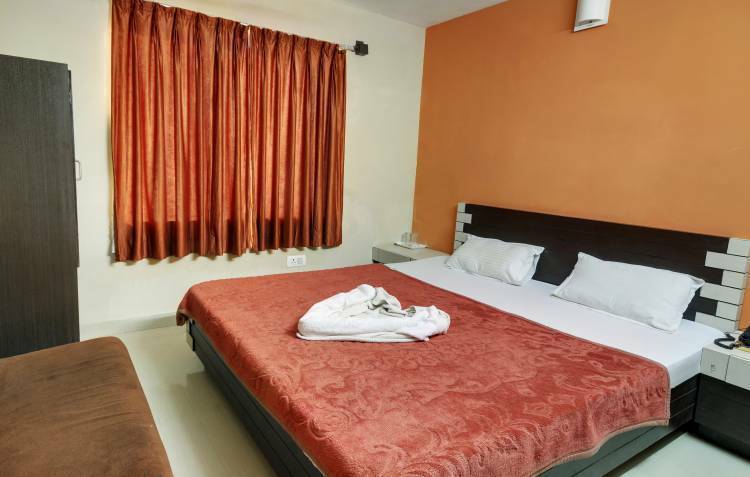 With king size beds, marble floor, well designed bathrooms, 24 hour room service, television, 24 hour running water, laundry and dry cleaning services etc., we ensure that our Berries Deluxe rooms will provide an extremely comfortable stay for our guests. The Balcony view will surely go with the evening Tea or a beautiful view of sun rise and the sea. Family Suit We have Suites which are well furnished and provides a feel of luxury hotel rooms with excellence and exudes a sense of style, elegance and panache. 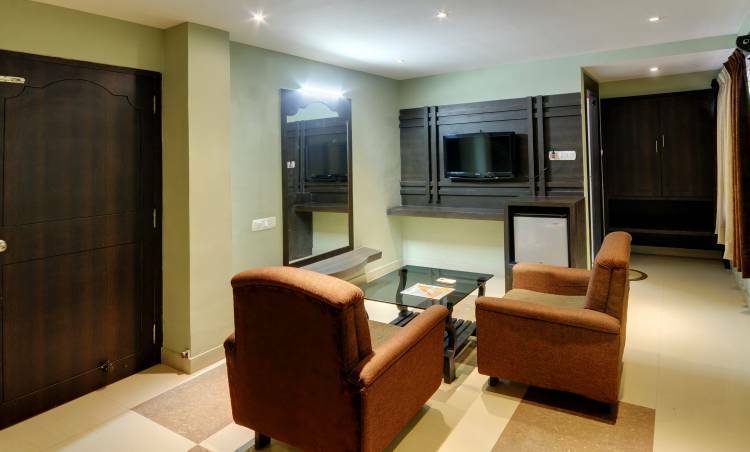 Equipped with all the necessary amenities, our suite is well furnished T. V., a large cupboard, Mini Bar, Gyser etc. The beautifully designed interior of the rooms offers relaxation to the guests and also soothes them. Our suites will definitely offer you the comfort of your homes. 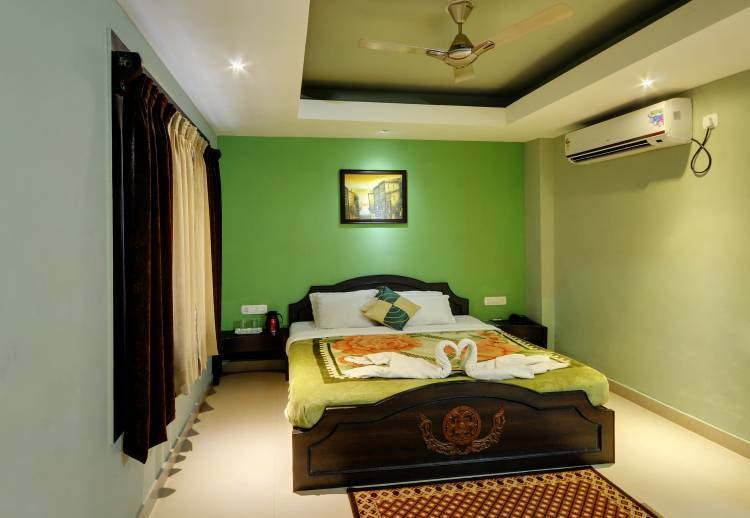 Apart from the beautiful interiors, the room is well stacked with all that our guest will require. Our suites also have a balcony where our guests can enjoy a relaxed breakfast or evening tea and a magnificient view of the sun in the morning when it rises from behind the sea. . Our services and cuisines are completely personalized for complete comfort of our clients. We also provide an all time room service that attend to every clients need at any hour of the day. It is mandatory for one guest above 18 years of age to carry a valid photo identity card & address proof at the time of check-in. You can carry any of the following documents as a valid proof - Driving License, Passport or Voters ID. If your check-in is denied by the hotel due to lack of required documents, you cannot claim a refund & your booking will be considered as NO SHOW. Unless mentioned, the tariff does not include charges for optional room services (such as food, telephone calls, room service, mini bar, snacks, laundry etc). Please carry your booking voucher if you have done booking with our central reservation office. 20% of booking amount will be forfeited of total room rent if you cancel this booking before 7 days of check in. 50 % will be charged if you cancel from 2 to 7 days of check in date. No refund if you cancel this booking 48 to 0 hrs of check in. You will be charged upto the full cost of stay (including taxes & service charge) if you do not check-in to the hotel. In case you had paid by Cash or Cheque your refund will be made within 15 working days by cheque payment.